For the past couple of weeks, Sarah has been unknowingly taunting me. She’s been posting recipe after recipe for protein donuts using our pea mix and I’ve been wanting to eat them ALL. Well, today I said to myself, no more, Sarah! No more. 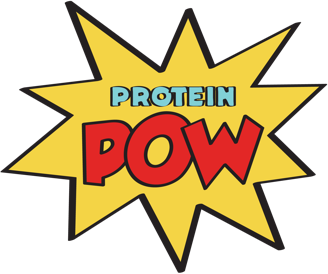 Today, I’m going to join your protein-donut world of deliciousness. So I dug out my silicone donut tray (I have this one but if you surf Amazon, you can find a bunch more!) and made an easy donut recipe to then top with dark chocolate and milk chocolate sprinkles. Whisk all your ingredients together and bake in a silicone donut tray for no more than 15 minutes at 179 C (320F). Then, add your melted dark chocolate (I used 90% dark) and sprikles! Or eat them naked, if you want. The donuts I mean, not you. Unless… well… whatever floats your boat! I posted the video of these donuts on our facebook page so you can see how EASY they are to unmold, add chocolate to, and what they look like inside! Check out the video below. Macros per donut (out of 6): 61kcals, 2.5g protein, 10g carbs, 1g fat. 1. If you want to and can, add a bit more fat. Perhaps a tiny bit of coconut oil? Just one teaspoon in order to make the donuts more moist. 2. Add some moisture-absorbing ingredient, like pea protein to your batter. Or some almonds. Just to add more ‘body’ to the donuts. 3. If you want to make lower-sugar donuts, use some stevia drops or a granulated sweetener to your donuts instead of coconut sugar! This is a recipe worth making for sure! It definitely satisfied my desire for donuts and I think it will yours too. PS: Do check out Sarah’s 150kcal donuts recipe too by the way! Her donuts are perhaps the BEST gluten-free protein donuts in the world so hey hey hey!